From tundra to desert, from prairies to rainforests, the trade routes of Ganelerdos converge at Sparrenfor, Larpektis, Enelarmos, and Torg-ra-Honnet—the Merchant Cities. Fair exchange offers prosperity to the creative and industrious, both human and elemental... and unearned riches to the ambitious and greedy. From tundra to desert, from prairies to rainforests, the trade routes of Ganelerdos converge at Sparrenfor, Larpektis, Enelarmos, and Torg-ra-Honnet—the Merchant Cities. Fair exchange offers prosperity to the creative and industrious, both human and elemental… and unearned riches to the ambitious and greedy. Scorned by his father, mocked by his older brother, Woldirek Hansar rides with a caravan into a desolate wasteland. He emerges with a bold plan to make House Hansar the Scorned by his father, mocked by his older brother, Woldirek Hansar rides with a caravan into a desolate wasteland. He emerges with a bold plan to make House Hansar the most prosperous family in the Merchant Cities. A plan to transform the continent of Ganelerdos forever. family in the Merchant Cities. A plan to transform the continent of Ganelerdos forever. 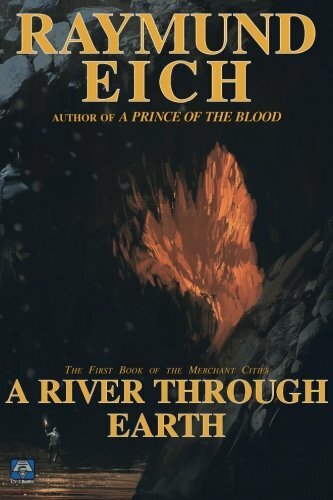 Full of magical creatures, intrigue, battles, and true love, A River Through Earth brings readers into a bold new world of modern fantasy.